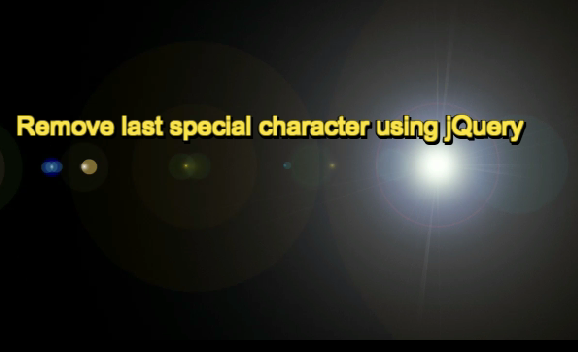 Remove last special character using jQuery, someone asked me to explain? In this article I will show you how to remove the last special character from a string using JQuery. The input text jQuery event change slices the last char from the string with the help of slice property and also checks for the character is Question mark (? ), if it is then removed and will be displayed in the input textbox “title”. How to remove last character if it is (?) question mark?